Founded in 2006, Active Energies has been a leader in development of solar energy and verification services for clients throughout Colorado and in many regional locations. Lisa does a little bit of everything around the office. Excited to be a part of the family business, she came out of retirement and now works in the office. Prior to having Owen and Drew, Lisa worked as an environmental chemist, receiving her degree from Whitworth University. 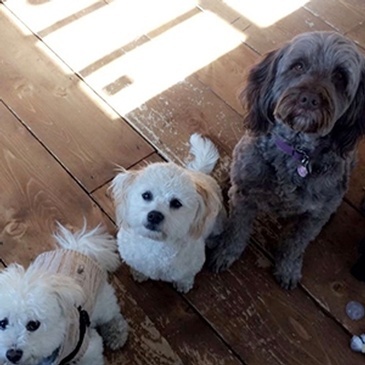 She splits her time between the office and being a taxi for her two incredibly busy boys. 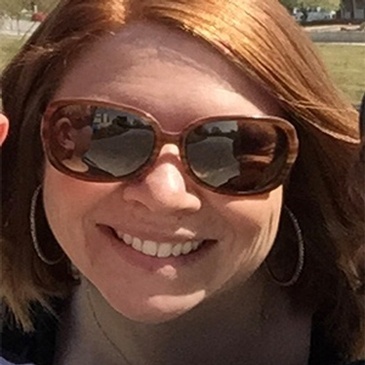 ​ Lisa enjoys tennis, biking, skiing, and lives to watch her boys compete in ski racing and baseball. Rich manages overall company operations, directs solar operations, including system design and oversight of the installation and sales teams. He has had a life-long passion for solar and is committed to advancing green energy. He earned a dual Bachelors Degree in Chemistry and Economics from Whitworth University. Rich is NABCEP certified, and always learning and researching the latest advances in solar. Rich is an avid skiier and loves coaching Owen and Drew in baseball. 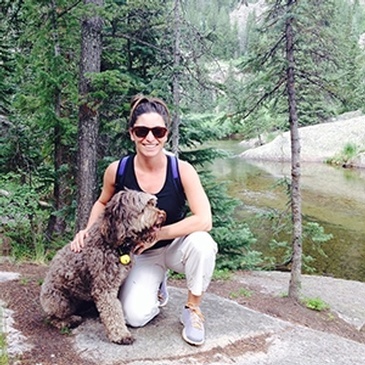 Bailey was the first person to graduate from Colorado Mountain College's Sustainable Studies program, earning a Bachelors Degree. With a background in public education, Bailey understands the best way to address today's challenge of instilling sustainable practices is to educate the local community. After graduation, Bailey worked for Energy Smart Colorado, providing local residents with services and making energy improvements to their homes using local contractors. Bailey is part of CMC's Sustainability Advisory Group and an active volunteer for the Town of Avon. Courtney completed her BA in Sustainability Studies at the local CMC in Edwards and she is a recent grad from CSU with an MS in Conservation Leadership. 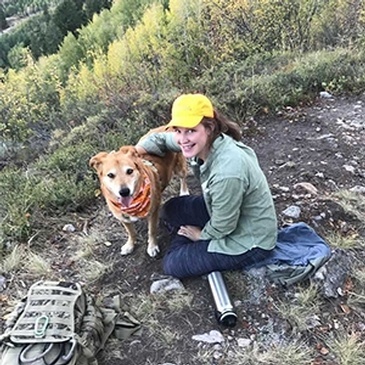 She and her husband, along with their two dogs just purchased a home in Leadville, CO., with both of her sisters living nearby in Red Cliff and Edwards. Her hobbies include snowboarding, snowshoeing, hiking, softball, cooking, and hanging out with her two pups. Born in Venezuela and raised in the Roaring Fork Valley, Ale Belandria is a CU graduate with a degree in Business Marketing. His studies provided the foundation for his transition to working in sales within both the home improvement and solar energy industries. 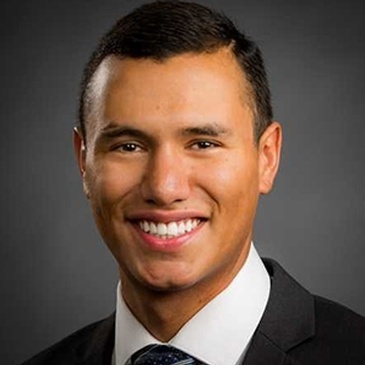 In the past year, Ale sold over 100 solar systems and also founded his consulting company, Sopris Marketing Solutions. He brings to Active Energies Solar a wealth of experience in educating the public about solar while empowering them to take control of their bills through a more sustainable energy solution. He strongly believes that solar energy can help make the world a better place, one small community at a time. 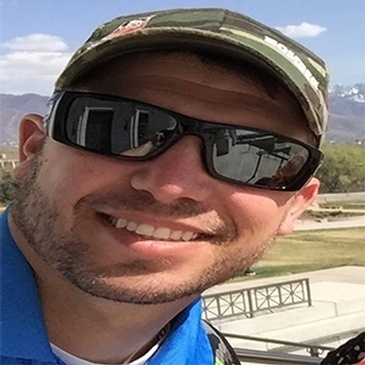 Ale lives in Glenwood Springs, where in his free time he enjoys an active mountain lifestyle of skiing, hiking, and traveling whenever possible. Matt graduated from Western State University. 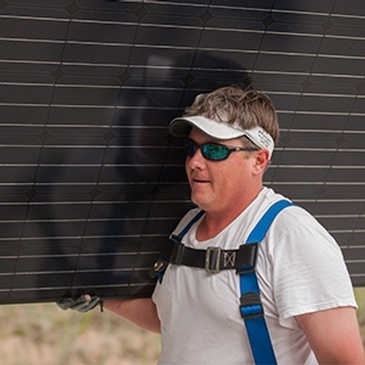 As an integral part of the Active Energies team, Matt is a lead solar installer, with outstanding knowledge of solar installation techniques and options. In his free time, Matt plays for the Vail Rugby team and enjoys snowboarding and golfing. Ken loves solar. He is also likes to snowboard. 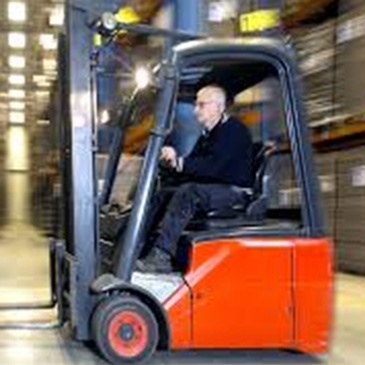 Ken hopes to someday run a forklift. 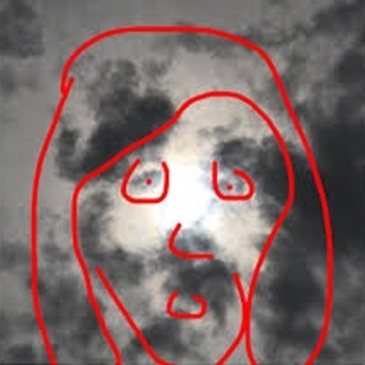 Erin is known as Solar Jesus. You can see him strengthening his holy biceps at Minturn Fitness Center in his free time. Chris gratuated from Penn State University. In addition to Chris's skill as a solar installer, he makes sure everyone has a great time and always has an upbeat attitude. 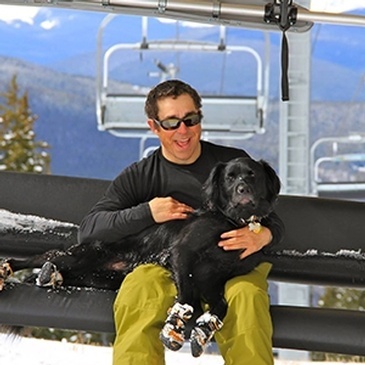 Chris is an avid skier and spends his free time with his friendly dog, Thor. 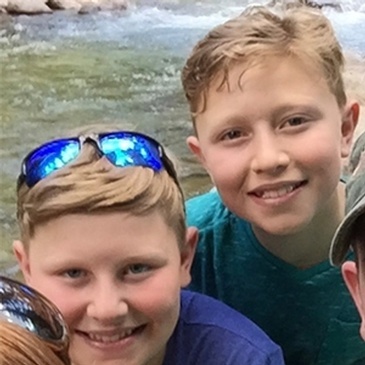 Owen, 13 and Drew, 11, are already solar energy's biggest fans. They both attend Vail Ski and Snowboard Academy and are alpine ski racers. You will find them at the office, helping where they can, on the ski hill, mountain biking, or at the skate park. They love their new Vail Valley life! The owners and staff at Active Energies contribute to the community by sharing our time, our energy and our knowledge. Whether we're helping low-income families achieve affordable energy bills, volunteering for our favorite non-profits, or visiting local classrooms to teach the next generation about energy resources, we are a committed community partner. In 2009, AE teamed up with Habitat for Humanity of Eagle and Lake Counties in order to improve and work towards providing more sustainable and affordable home ownership for their newest development. This collaborative approach was the first of its kind in the region and proved invaluable to the construction team and owners alike. AE volunteered to work alongside Habitat's planning and construction teams to identify appropriate and achievable energy improvements. Throughout the construction process, Active Energies provided site testing and verification, providing over $25,000 in services at no charge to Habitat for Humanity. The result was lower energy bills, improved durability, and better indoor air quality for all 16 units. Once these improvements were incorporated into Habitat's housing at Fox Hollow, AE provided all of the testing and verification work required for the project to seek LEED for Homes Silver certification.In June 2012, Habitat for Humanity received LEED Silver certification on 16 duplex homes in the Fox Hollow neighborhood. Active Energies is continuing to work with Habitat for Humanity on their latest development at Stratton Flats in Gypsum. This newest neighborhood has an even higher level of collaboration, striving for LEED Platinum certification. In addition to the outstanding upgrades undertaken over the past several years, all of the homes within the newest development will have photovoltaic solar panels. Active Energies has donated all labor associated with the design, approval, and installation of the solar arrays at no charge to Habitat. Active Energies proudly supports the mission of Roundup River Ranch. In the summer of 2016, Active Energies completed a solar installation, with a generous in-kind donation, on the cookhouse. This installation helps to reduce the operating costs at the camp, so more of the funds raised can go to the mission. Based in Avon, Walking Mountains provides engaging school field science programs and environmental stewardship programs for the local community and visitors. We are actively involved with Walking Mountains and support their green educational agenda in our community. In an effort to share our knowledge and enthusiasm, Active Energies provides education and training throughout the community. AE's team has also visited several local classrooms from elementary to high school to provide information about solar energy and green building, including working with 5th grade students at Eagle Valley Elementary School on exhibition projects in which many chose to research renewable energy. AE has presented educational sessions and workshops for the Eagle Valley Homebuilder's Association, Summit County Homebuilder's Association, Walking Mountains, USGBC Colorado, and the Rocky Mountain Water Environmental Association. We serve clients across EagleVail, Vail, Aspen, Glenwood Springs, Breckenridge, Frisco, Silverthorne, Keystone, Leadville, Basalt, Carbondale, New Castle, Winter Park, Granby, Hot Sulphur Springs, Kremmling, Grand Lake, Eagle, Gypsum, Dotsero, and Minturn, Colorado.